For over ten years, LT Construction & Remodeling has proudly provided the highest quality residential remodeling services to Paxton residents. 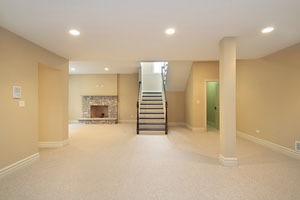 Our professional remodelers specialize in bathroom, kitchen, and basement remodeling services. We are also adept at constructing new garages and room additions. In every remodeling project, our main goal is to provide our customer with the highest quality customized services possible. With this goal in mind, we have continuously exceeded customer expectations. At LT Construction & Remodeling, we understand the importance of professionalism. As such, each of our Paxton remodeling contractors is professionally trained and licensed. In addition, we maintain a full line of trade insurance at all times. Each of our contractors takes an immense amount of pride from his or her work. We hold ourselves to a high standard of excellence. Paxton residents can feel confident that they trusted the best team for their remodeling project when they hire LT Construction & Remodeling. Call us today for all of your remodeling needs. We would be excited to help you with your next kitchen, bathroom, or basement remodeling project. Our expert and knowledgeable staff would be happy to discuss your prospective project with you and to answer any questions that you may have about our services. We would be excited to set up your appointment today. Kitchen remodeling projects can result in a great deal of increased enjoyment. You and your family use your kitchen every day. It is important that your new kitchen be designed to accommodate all of your cooking and gathering needs. At LT Construction & Remodeling, our kitchen remodelers can help you design the most beautiful and highly function kitchen possible. In this way, we can guarantee that you and your family will be completely satisfied with our kitchen remodeling services. The benefits of our kitchen remodeling services will last for years to come. At LT Construction & Remodeling, our bathroom remodeling contractors are focused on two aspects of the room in every project. First, we want to improve the look of these spaces. Second, we strive to redesign the area to enhance your family’s comfort and enjoyment while in the room. With these goals in mind, we can guarantee that you receive the highest quality bathroom remodeling services possible. We will constantly stay attuned to you and your family’s unique needs in order to provide the most customized bathroom remodeling services as well. If you would like to improve the look of the interior and exterior of your Paxton home, you should consider installing replacement windows. Our Paxton remodeling professionals can help you with all of your replacement window needs. We can install replacement windows that match any interior and exterior design scheme. We can also provide you with expert advice about the longevity and maintenance of all window materials. Lastly, if you are trying to conserve energy, our experts can help you by installing energy efficient replacement windows on your Paxton home. 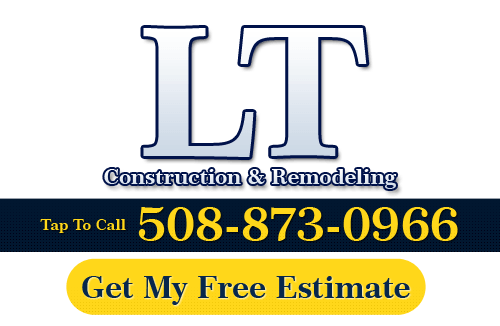 If you need to hire a professional Paxton remodeling contractor, call LT Construction & Remodeling at 508-873-0966, or complete our online request form.